The VSNU, the Association of universities in the Netherlands, announced the kick off of a national Open Access campaign in which all Dutch universities cooperate. Besides a campaign with posters and banner to raise awareness and to promote Open Access publishing, a national journal browser<http://library.wur.nl/WebQuery/jbrowser?q=*> is launched. 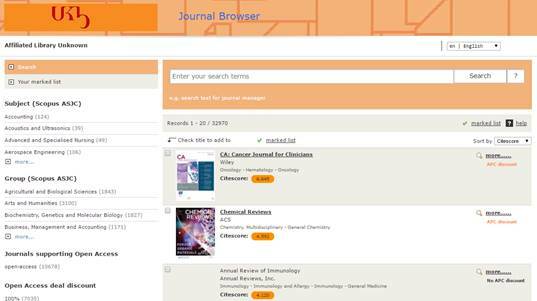 This browser shows if journals offer OA publication and if discount is available.